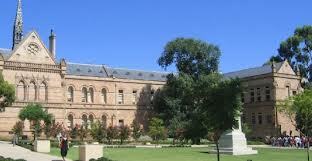 Students must be undertaking study on a full time basis at the University of Adelaide. Students must be majoring in Mathematics subjects relevant to the physical and biological sciences as determined by the Head of School of Mathematics (or nominee). The scholarship is valued at $5,000 for one year. This scholarship is available to both domestic and international students. Selection of the successful candidate will be based on academic merit. Academic merit will be determined according to applicants’ Grade Point Average [GPA] for level 2 Maths subjects. Applications for this scholarship close Friday 8 March 2013. Demikianlah artikel mengenai Glen and Joy McKee Mathematics Scholarship, University of Adelaide, Australia Semoga Bermanfaat Bagi Anda.